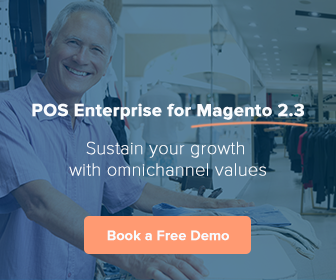 Have you ever wished for a faster Magento 2 POS? The sales season finally arrived. You’ve prepared everything to make good sales in your retail store! Beautiful decorations, good sales reps, skillful cashiers, plenty of products. Customers were queuing in long lines. They soon became frustrated. Some people left. When your POS finally worked, you had already lost 1/3 of the sales you should have made. Say goodbye to waiting lines & lost sales, forever! A friend, who also ran a retail store, told you Magestore just released a super-fast PWA POS software for Magento 2. Actually, one fast POS to run on unlimited devices. It loads in 10 seconds and processes up to 12,000 orders per hour. That means in one minute you can serve up to 200 customers! Unbelievable! You gotta check it out! This POS is really fast! There must be thousands of products here and it loads in under 10 seconds. You searched for an item via the search bar and it appeared in 1 second. You added it to cart, choose payment and shipping method and done. Less than 10 seconds for an order. Imagine how many customers you can serve in one hour? This is exactly what you’re looking for. You gotta have it! Just need to pay one time for a lifetime access on unlimited devices. What a deal! Book a FREE demo to see PWA POS in action. No waiting lines. No unhappy customers. No lost sales. Magento 2 PWA POS works wonder on PC/laptop to deliver superfast checkout. It’s ideal for brick-and-mortar stores who want to sell faster & deliver a seamless in-store experience. A test on 100,000SKUs showed that the Magento 2 PWA POS can maintain the same speed. You can handle up to 12,000 orders per hour or run 200 POS systems at once WITHOUT performance drop. Get rid of recurring fees forever as once purchased, this powerful POS is forever yours! When your store gets bigger, you may have more than one inventory location to restock. Or, you need more incentives to engage customers. We always have our complete Omnichannel Solution available. Omnichannel Solution is ideal for online-to-offline Magento retails with multiple sales channel and stock management. So it’s all up to how you want to start. Simple or complete. We’ve got your back from A to Z. If you need any help, feel free to share your concerns via Magestore’s ticket system. Or, live chat via the button at the bottom right of the page. So.. wait no more! Check out Magento 2 PWA POS now and see how you make sales 10x faster with it!